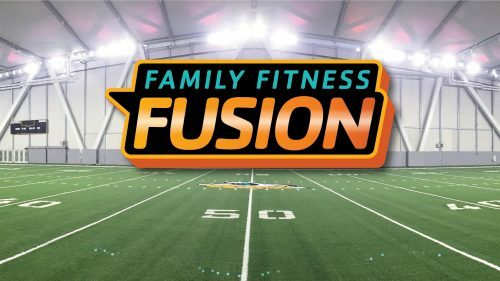 The YMCA of Florida’s First Coast, The Jaguars Foundation and Bold Events are teaming up to present the largest citywide family group exercise event—Family Fitness Fusion—on Saturday, Feb. 16 from 9 a.m. – 12:30 p.m. The entire community is invited to take part in this unique FREE experience at Daily’s Place Flex Field at the home of the Jaguars. The event will offer something for everyone including a mashup of group fitness favorites, free YMCA childcare, bounce houses, slides and games, plus the NFL Play 60 Football Challenge for adults and children hosted by The Jaguars Foundation. The group exercise portion of the event will offer a wide variety of classes such as Zumba, yoga, line dancing and more. Adults and children older than 5 can also participate in the NFL Play 60 Football Challenge. Free childcare will be available on site for kids ages 1 – 4. They will be supervised by the First Coast YMCA’s certified, professional KidZone staff. Because space is limited for childcare and the NFL Play 60 Challenge, registration is required by texting FITNESS to 91999. For more information about Fitness Fusion and a full workout lineup, visit FCYMCA.org/events.